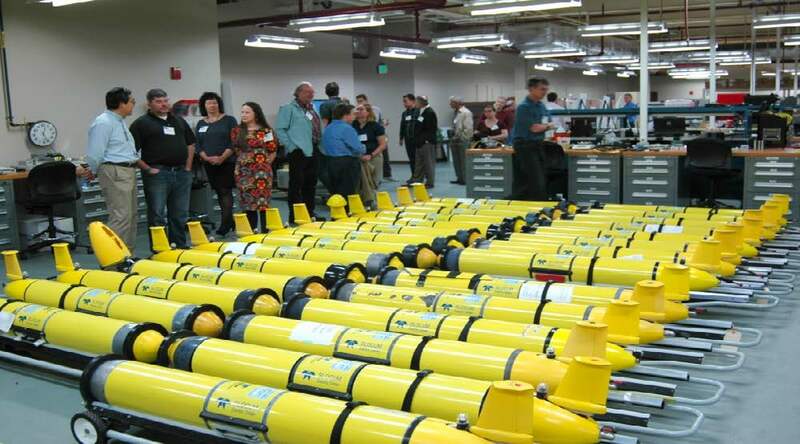 Data-collecting underwater drones will support improved hurricane forecasting. Ocean gliders will be plying the waters of the US Virgin Islands this summer to help improve the ocean models used by the US National Oceanic and Atmospheric Administration (NOAA) National Weather Service hurricane forecast models. Ocean and Coastal Observing – Virgin Islands (OCOVI, www.ocovi.org) is working with NOAA and the US Navy to manage the gliders during their time in USVI territorial waters. 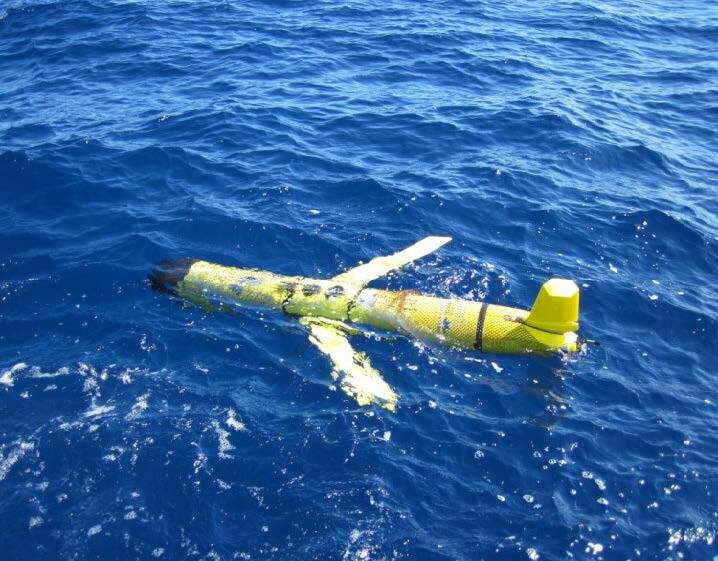 The unmanned ocean gliders are capable of spending months at sea – continuously collecting and transmitting underwater data – measuring water temperature and other properties. They are the best tools available to collect the information that allow scientists to monitor the ocean conditions that affect hurricane intensity. Additionally, two of the gliders will be carrying acoustic recorders to listen for whale sounds. 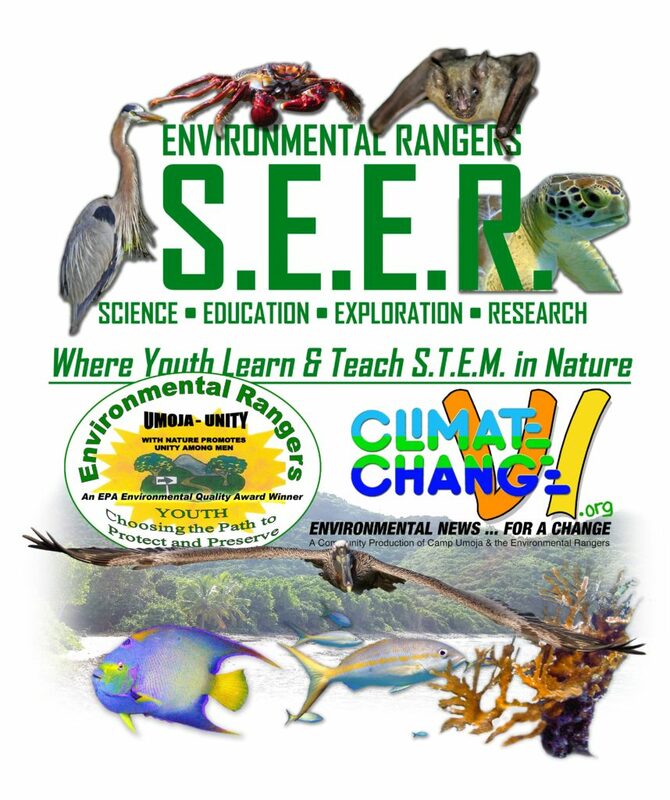 OCOVI is working on behalf of the US Integrated Ocean Observing System (IOOS) and CARICOOS (Caribbean Coastal and Ocean Observing System, the IOOS Regional Association for Caribbean), and will be assisted by the University of the Virgin Islands and by ocean glider experts from Rutgers University. OCOVI will be responsible for 5 Navy-owned gliders, and hopes to use the 2018 experience to support a permanent ‘hurricane glider’ fleet in future years. Mariners and fishermen are urged not to interfere with glider activity if they encounter them on the water. The gliders are collecting important information supporting better hurricane forecasting. If you encounter a glider that appears to be fouled or in other distress, please contact OCOVI representatives at the numbers listed below. Ocean gliders are able to adjust their buoyancy to slowly descend and ascend – in our case to 200 m depth. As they do so, onboard instruments record water properties like temperature and salinity. Gliders can be ‘steered’ by adjusting angle at which they ascend and descend; the USVI gliders will be piloted to maintain their approximate positions and profile in place. This animated video shows how gliders operate. Oceanographic Underwater Glider Animation from Sunke Schmidtko. 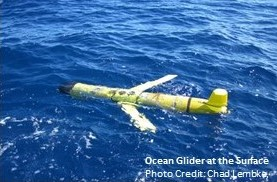 Oceanographic Glider Animation, showing a glider in design similar to the one produced Webb Research, now part of Teledyne, in action. The Glider dives and “glides” through the water, changing its buoyancy at pre defined depths – once he is denser than water and sinking, then again lighter and ascending. His wings make him fly a zig zag line through the water column, constantly recording water properties like temperature, salinity, pressure and oxygen as well as many internal steering variables. After a few zigzags, called profiles, he sticks his tail out of the water and transmits the data via satellite to the operating scientists. It is especially used for detailed high resolution analysis in scientific interesting areas, like straits, hypoxic or oxygen minimum areas to study intrusions, fronts or other submesoscale features. 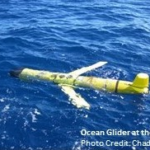 The glider is an AUV, an Autonomous Underwater Vehicle, which are during mission (below the surface) not controlled by operators like an ROV (Remotely Operated Vehicles). Copyright for this video is held by the IFM-GEOMAR, Kiel and Sunke Schmidtko. Please reference properly if you plan to use this animation and send me an email about it.